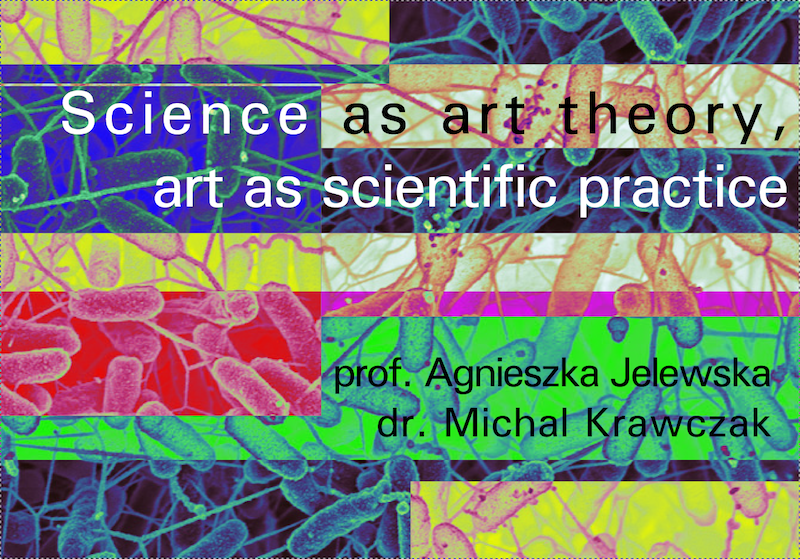 You are invited to an open lecture “Science as art theory, art as scientific practice” by Agnieszka Jelewska and Michal Krawczak at Zacheta, National Gallery of Art in Warsaw, multimedia room (entrance from Burschego street). 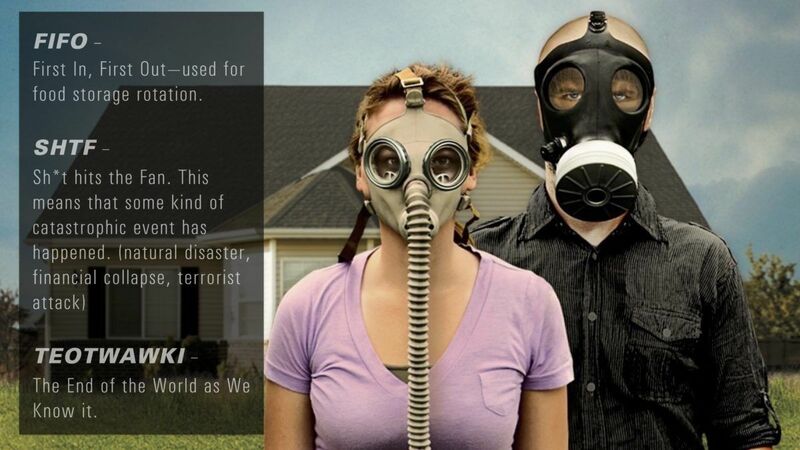 Future is Now, that’s why there will be no future. 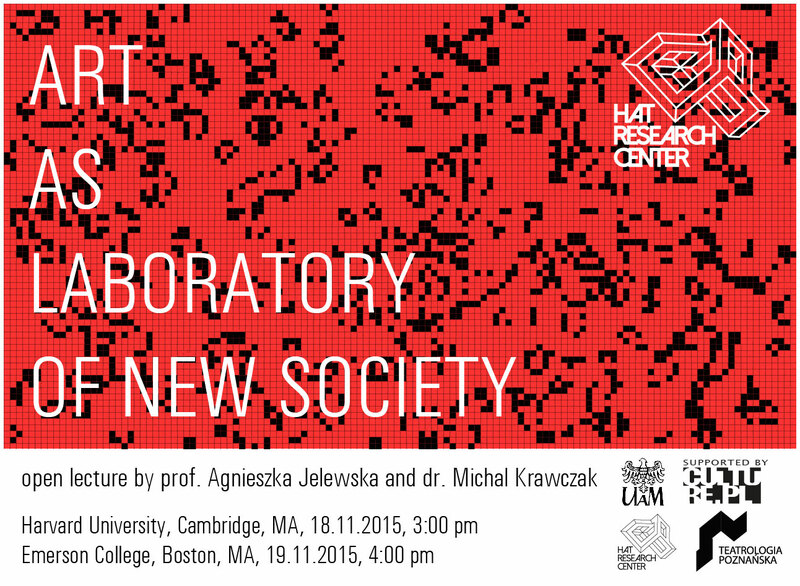 Join us for an open lecture titled Future is Now, that’s why there will be no future by HAT Research Center’s director prof. Agnieszka Jelewska. 1st June, 18.45, Sala Sniadeckich, Collegium Maius, Adam Mickieiwcz University. 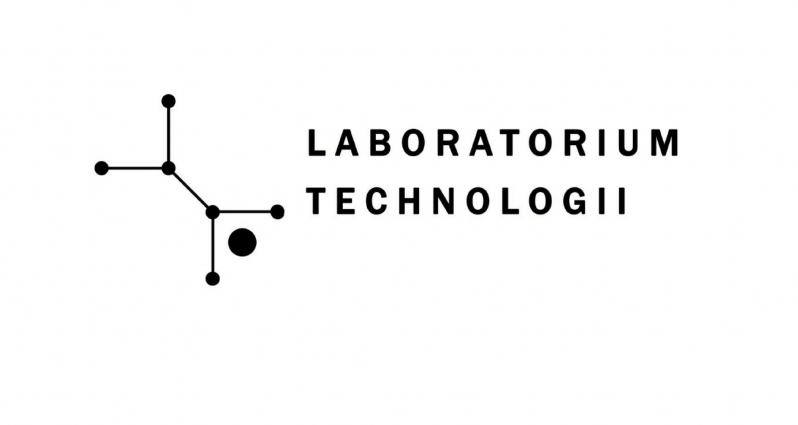 HAT Research Center, Movements Factory Foundation and the Polish Dance Theatre are announcing an open call to participate in creative technological lab lead by prof. Agnieszka Jelewska and dr. Michał Krawczak. How do I take part in the labs? All you need to do is to apply by emailing a.krolica@ptt-poznan.pl. Those selected to apply will be notified by email by 1 July 2017. The labs are free as long as the participant is present at all the sessions (a 100 PLN fee is charged but is returned upon completion of the lab as long as the participant has attended all sessions). 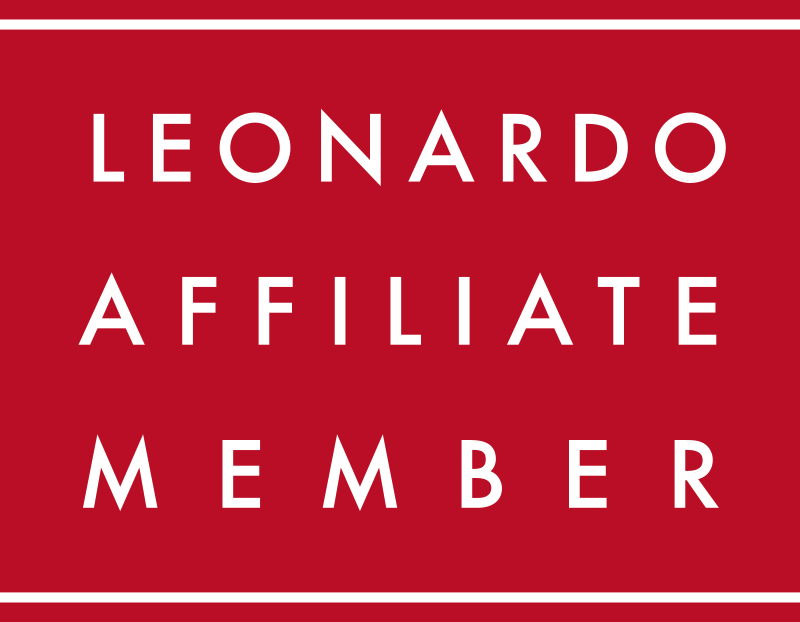 What is a creative lab? Creative labs are based on process work in integrated transdisciplinary artistic activities. We envisage the labs as a space to acquire new competences, to pursue artistic explorations, to gain new skills and knowledge. 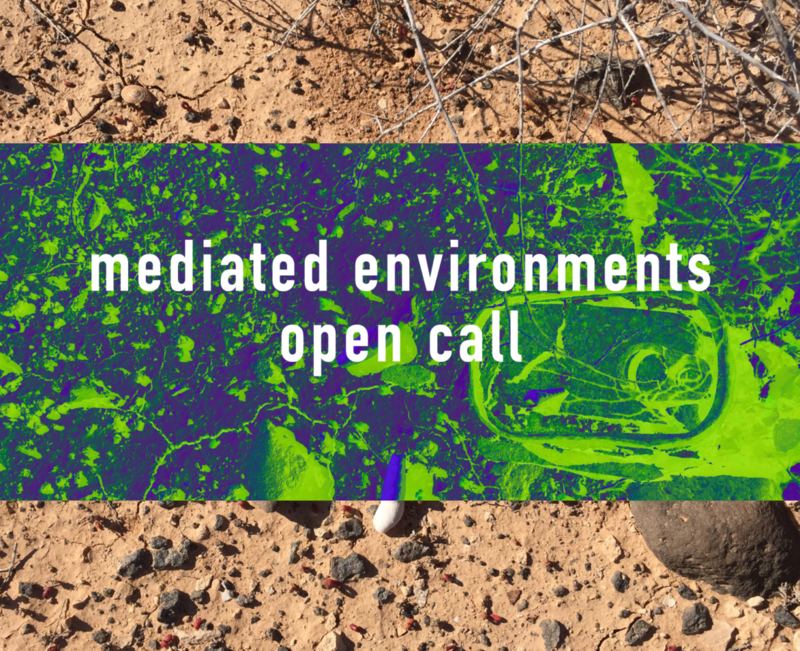 This project is an attempt to open up to a new model of the functioning of culture, where shared practice is often research and/or lab work. You are invited to an open lecture “Art as Laboratory of New Society” by Agnieszka Jelewska and Michal Krawczak at Harvard University (Cambridge, MA) and Emerson College (Boston, MA). An installation Post-Apocalypsis the winner of the Gold Medal in the National Exhibition Section at the 13th Prague Quadriennale will be presented in Grotowski Institute in Wroclaw. The installation will be open daily from 11am to 5pm. The Polish national exhibition Post-Apocalypsis curated by Agnieszka Jelewska has been awarded the Gold Medal of the 13th Prague Quadrennial of Performance Design and Space festival. 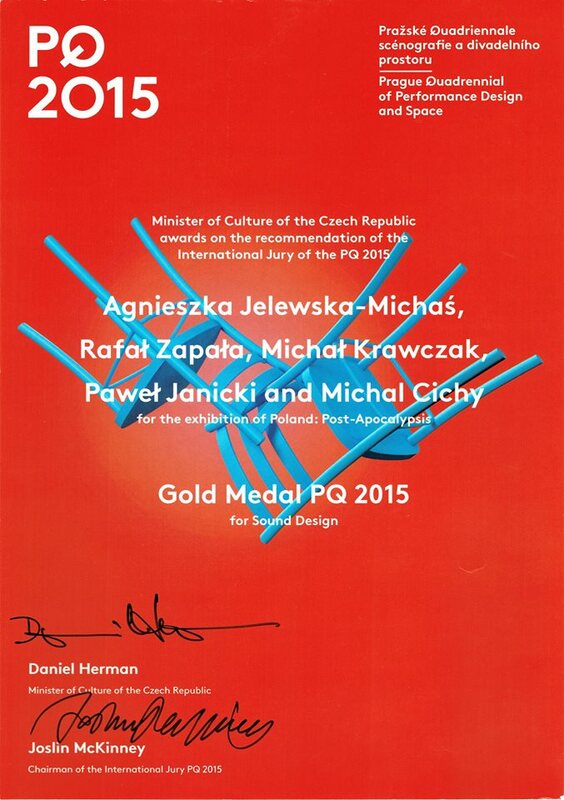 The Gold Medal PQ 2015 for Sound Design went to the Polish team for its project Post-Apocalypsis, which the jury appreciated for its clever use of sound – the sensitive and interactive sound design reflects contemporary ideas relating to the relationship between man, nature and technology as part of a hybrid communications system. Before Post-Apocalypsis’ success, works by Polish artists had been awarded gold at the Prague Quadrennial only three times. In 1967, the award was given to Andrzej Kreutz Majewski, 4 years later Jerzy Gurawski, Józef Szajna, Leokadia Serafinowicz and Zofia Wierchowicz. The last Polish representatives to be presented with the Gold Medal were Jan Berdyszak, Adam Kilian, Kazimierz Mikulski, Zofia Pietrusińska, Leokadia Serafinowicz, Zygmunt Smandzik, Zofia Stanisławska-Howrukowa and Jerzy Zitzman in 1979.